Welcome to Colombo Fort Hotels, a hotel chain owned by York Hotel Management Services Ltd, a subsidiary of Colombo Fort Hotels LTD. With hotels at three major travel destinations in Sri Lanka including Sigiriya, Beruwala, and Weligama, Colombo Fort Hotels provides affordable and comfortable accommodation to leisure and business travelers. With decades of experience in hospitality management, our team is always ready to expand our boundaries and meet new challenges when helping our guests have a time of leisure and pleasure at each of our destinations. Established in January 2011, York Hotel Management Services Ltd is a subsidiary of Colombo Fort Hotels Ltd which holds the ownership of Sigiriya Village Hotels PLC, the holding company of Sigiriya Village Hotel; Beruwala Resort PLC, the holding company of The Palms Hotel; and B. O. T. Hotel Services (Pvt) Ltd, the holding company of Fisherman’s Bay Hotel. York Hotel Management Services Ltd is responsible for managing all the hotels while the ultimate parent company of all the organizations is Colombo Fort Land & Building Co. PLC. 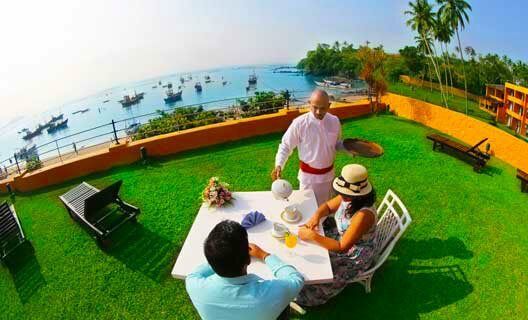 Our proud heritage and commitment to Sri Lankan hospitality are the cornerstones of our passion. Whether serving our guests or organizing an event, we, at Colombo Fort Hotels, make sure that we stay true to our heritage and pledge of service to serve far and beyond our call of duty. Our people are our strength at Colombo Fort Hotels. Each and every employee at Colombo Fort Hotels is a member of our team and family committed to continuing the traditions of hospitality we, as Sri Lankans, have practiced for the last two millennia. At Colombo Fort Hotels, we believe that a star class holiday should not cost the very earth, we are trying to explore. With a purpose to serve and protect the five main aspects we hold dear, Colombo Fort Hotels have initiated the Five Facet CSR & Sustainability movement which preserves and nurtures the Environment, Health & Safety, Employees, Supply Chain and Stakeholder Relations. Colombo Fort Hotels strives to educate its stakeholders, inspire and engage its employees to align with local and national community initiatives to use CSR as an effective tool that drives development and harmony. 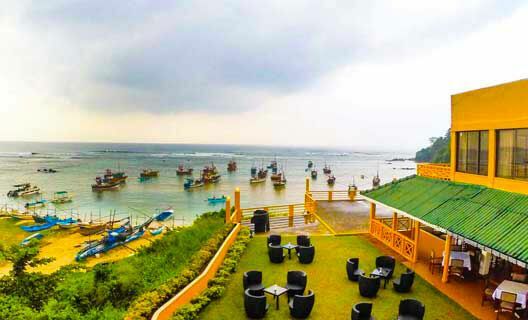 Colombo Fort Hotels, a star class hotel and resort chain in Sri Lanka, owns and manages hotels in Sigiriya, Weligama and Beruwala, which are designed to provide affordable modern day indulgences to the discerning travellers. In addition, the hotels also provide ideal venues to corporate MICE events, destination weddings and banquets and are ideal to rest your feet while exploring the serendipitous island of Sri Lanka. Sigiriya Village is a "village" themed resort, situated in the shadow of Sigiriya Rock Fortress. Situated by the world-renowned golden beaches of Weligama Bay in the South of Sri Lanka. Discover the modern charms of The Palms, a star class resort in Beruwala in Southern Sri Lanka.